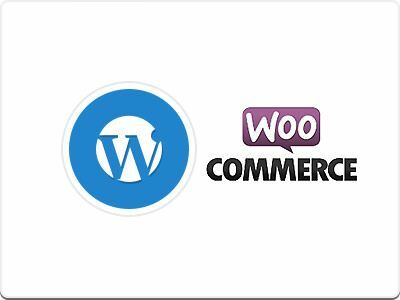 WooCommerce is a WordPress plugin that is ideal for ecommerce retailers just starting out. It is simple enough to learn, pretty powerful, and you cannot beat the price – it is free. It is free to download: There are many different CMS systems available and they are great. The drawback with a lot of these, however, is the price. It is easy to use and flexible: You can easily add categories, change prices, etc, even if you have very little technical know-how. It is WordPress based so if you are familiar with WordPress, you will adapt quickly. You can also link into virtual products. Build a professional looking store: You can use WooCommerce to build an ecommerce platform that looks professionally designed on your own site. You can customize it a lot: There are a lot of different customization options that you can use to help your site stand out. Strangely, for a free plugin, you have a wide range of themes to choose from. Choose any of the 39 themes from WooThemes to get started. Unlike some other themes, you are able to change preset colors, CSS styles, and coding. A full platform: It is a completely functional, professional ecommerce platform. It’s safe to say that besides some good WordPress hosting (and WordPress itself, of course), WooCommerce is all you really need to start making money off your website right away. You are able to access various analytics and make use of tracking, tools to boost customer engagement, apply the discounts you like, and keep your clients up to date when it comes to the status of their orders. It allows you all the functions of many of the expensive paid options and quite a few more. Analytics built-in: You can choose to make use of the analytics built into the system to track sales, average order totals, client statistics, etc. from the admin panel. The information is presented in an easy to understand style. Many apps and extensions: There are a whole host of apps and extensions that can be used to increase the functionality of your WooCommerce site. Some of these can be downloaded free of charge, like Google Analytics, others you have to pay for. With the add of the apps, you can get all the information and functionality you might possibly want without having to click out of your admin page. WooCommerce is a plugin that will prove worth its weight in gold. It is ideal for a startup because it offers such a wide range of features and a lot of support. Way2net recognized as a Leading Digital Marketing Agency on Clutch.co!